Providing all-in-one functionality to efficiently and effectively manage employees in a paperless capacity. earn money. They are also an expensive component of the equation which is frequently micro-managed in an effort to control costs. The success of an HR executive is determined by their ability to efficiently coordinate the multitude of functions required to manage employees and communicate the data with each of the departments and associated vendors. 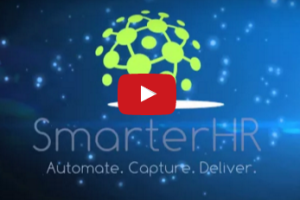 By combining all the Human Resource capacities into a single entry HR solution, SmarterHR seamlessly integrates the different applications into one universal database and allows information to be populated to all fields. The net result is efficiency, simplicity, and affordability. To learn more, please view our videos below.